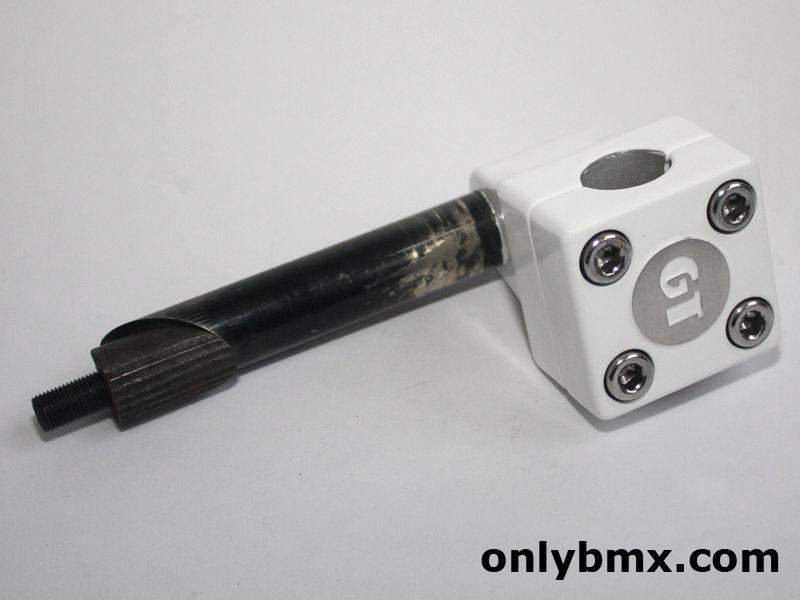 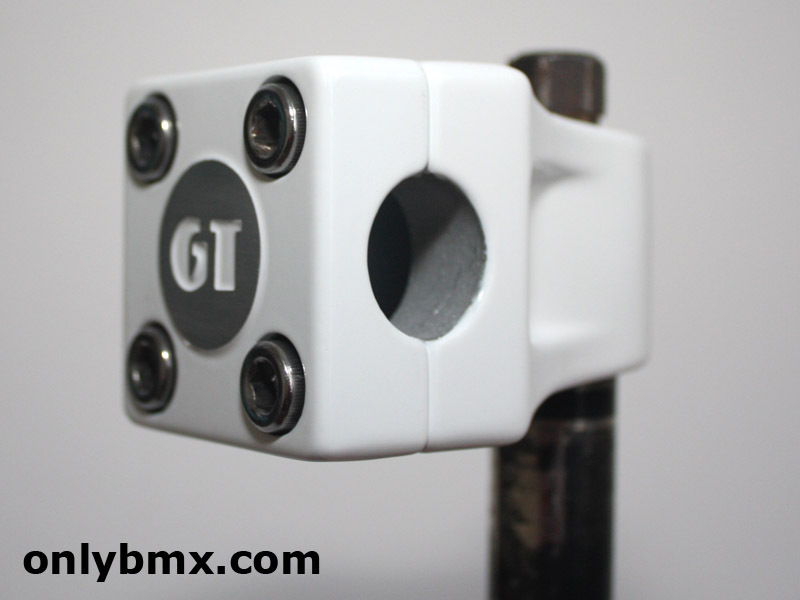 GT BMX Mallet stem refinished in white. 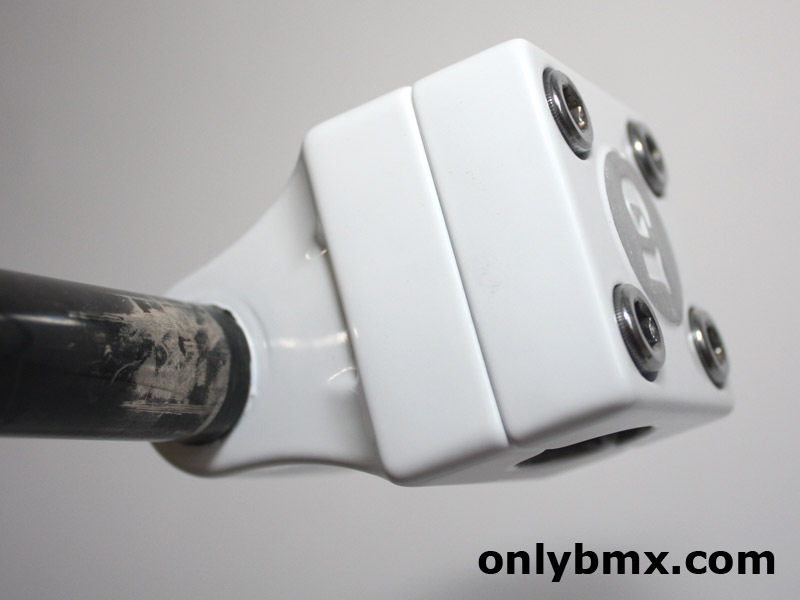 This has been powder coated by Roberto from Robertos Custom Powder so you know the quality is top notch. 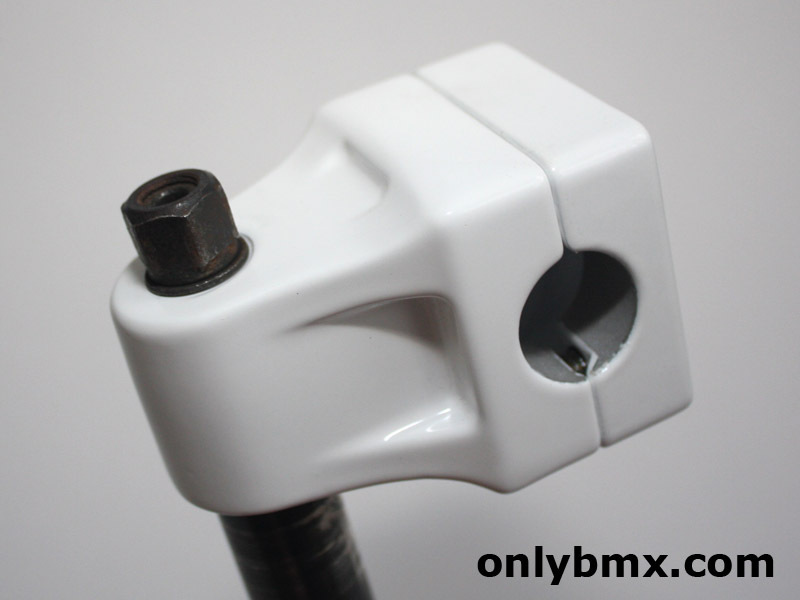 This is one of the proper SR made mallet stems not the cheap knockoffs that have the chrome quill. 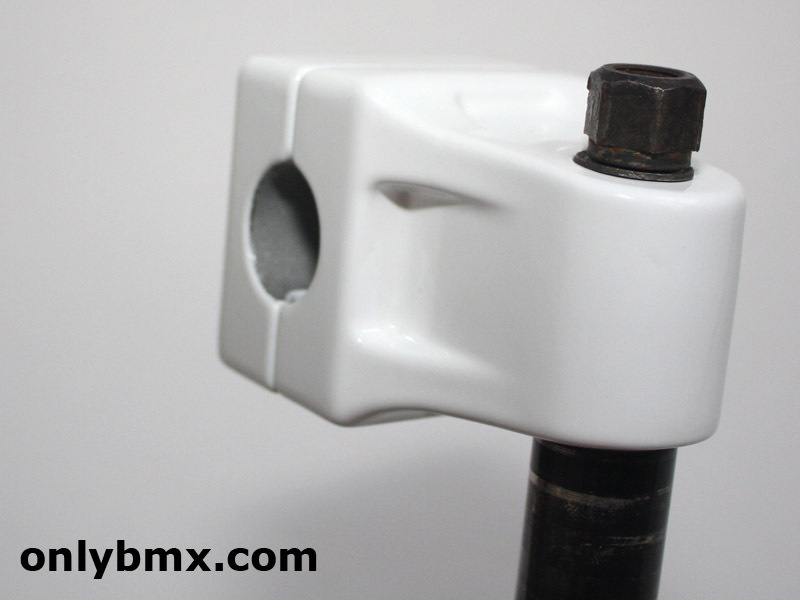 Four new bolts in the clamping area and an original hollow quill bolt. 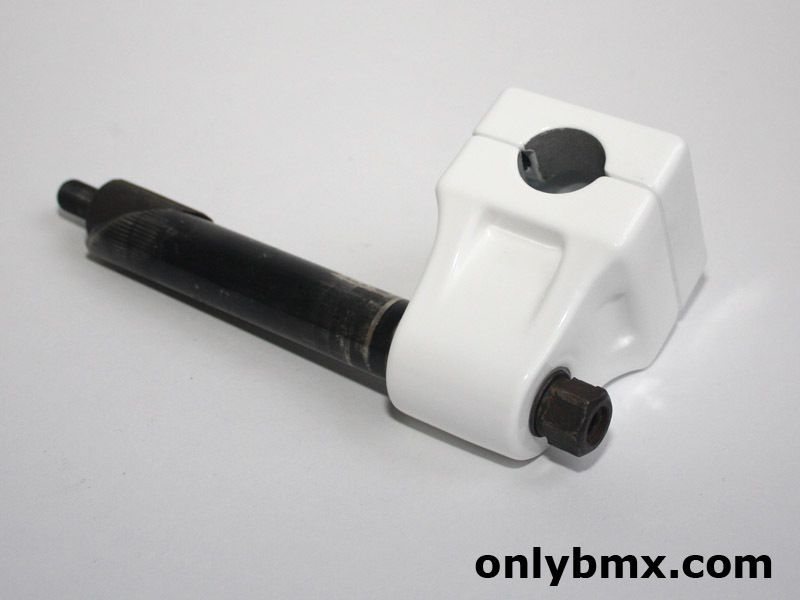 Used on many late 80s onwards GT freestyle bikes such as the Pro Performer. 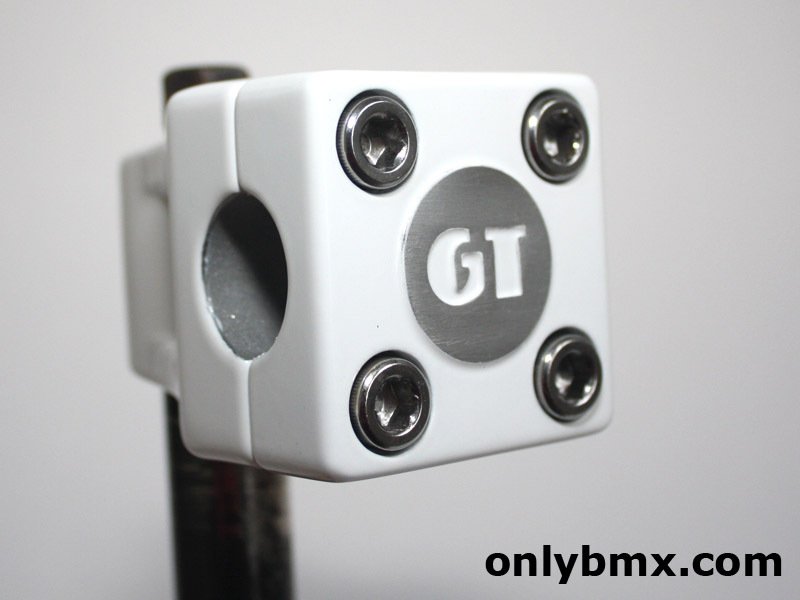 Buy it to go with the GT Pro Freestyle Tour Kit also for sale and one less piece to hunt out.